We’ve now taken custody of the two tree pits in front of our apartment building. 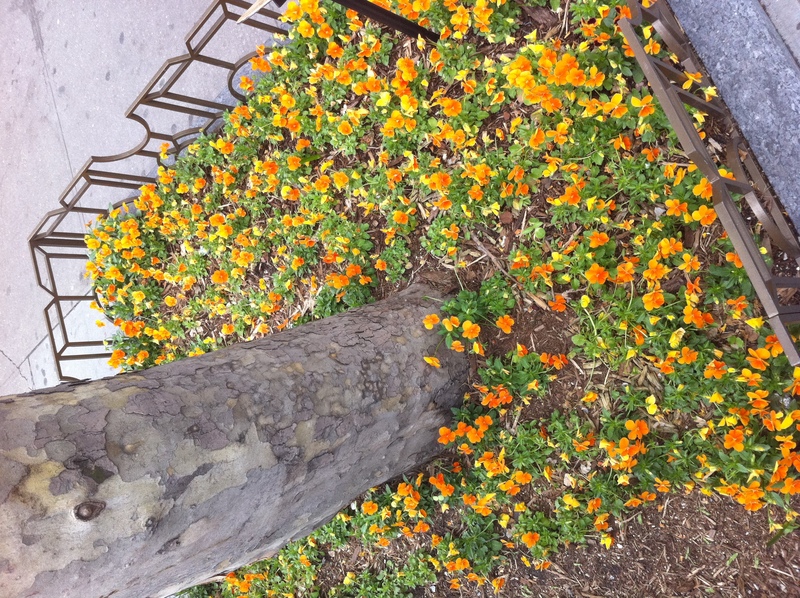 Here’s some photos of OPP (that’s other people’s tree pits) that caught my attention this spring. Tree pits are tough. The plants have to endure rough conditions and look great without encouraging too many people to stop and pick the flowers. This big bunch of orange pansys looked great, but it won’t last for long. 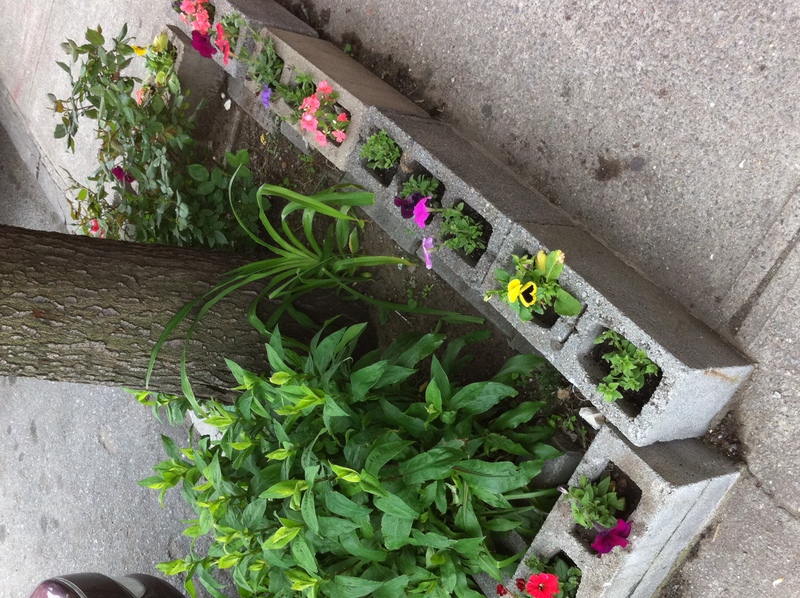 This many annuals must be expensive. 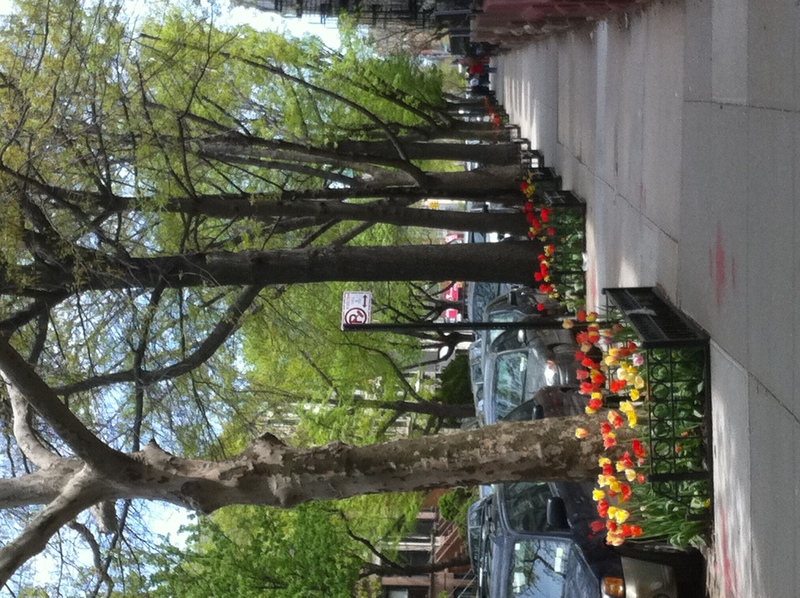 Nice pop of spring. Does anyone know what these flowers are? 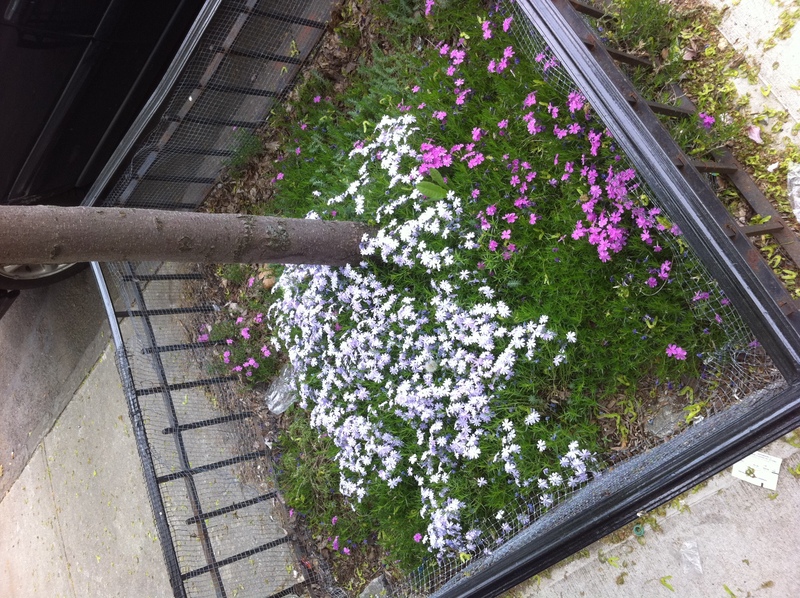 I’m wondering if a tree pit should just be one burst of a ground cover-y plant like this or if it should be just a bit more? I’m not sure how long this tree pit display will last, but isn’t it so optimistic? Friday night seems like just the right time for real estate day dreaming. 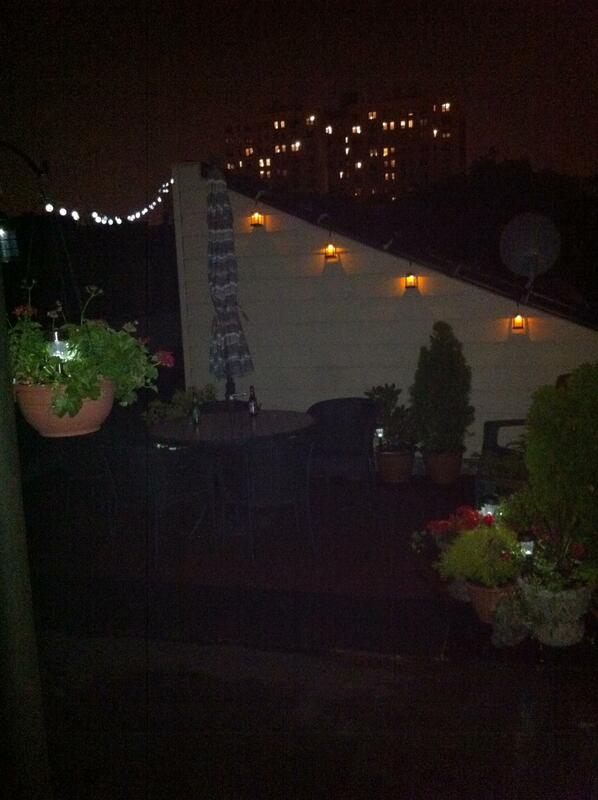 Check this Park Slope roof garden out! 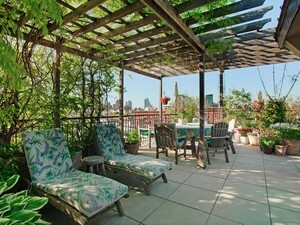 This million dollar Corcoran listing features a 1,000 square foot roof garden. “Planted with over 70 varieties of perennials, annuals, fruit trees & bushes, vegetables & vines, & structurally sound to hold all of this plus 100 guests, the garden will truly amaze. Watering is made easy by the built-in irrigation system. With a large, shaded seating area, a wet bar, & an entertainment system . . . ” Wow, right? There’s an open house on Sunday afternoon. The seller of this home reads my blog . 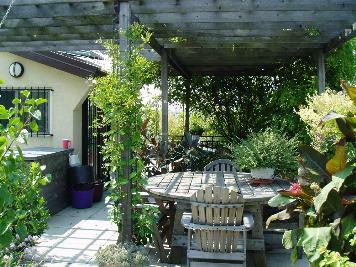 . . thanks for sharing your great garden photos and good luck with your move. A Modern LED Lantern and Flashlight . 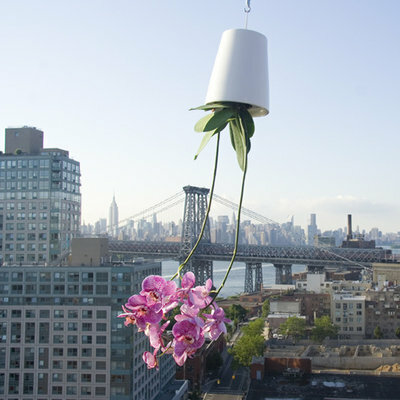 . . perfect for a roof garden! We have two lighting needs in our roof garden: a flashlight for late-night work on the plants, and an ambient fun light for the center of the table for late-night celebrations. I found this modern, elegant solution at ICFF, the contemporary furniture fair. 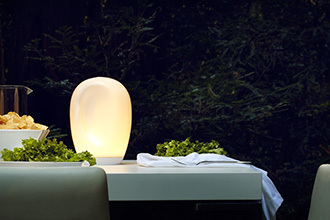 The Obus ($250) is a re-chargeable outdoor light that will last up to 25 hours! Order the Obus here. The bummer is that it doesn’t ship until August. 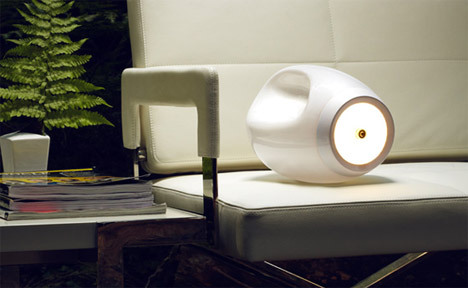 Read more about Obus and the industrial designer Peter Stathis on Inhabitat and Unplggd. 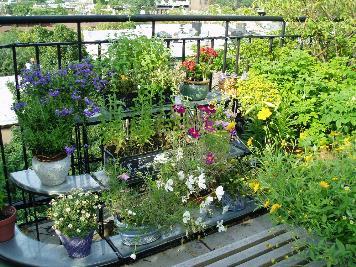 “Ledges, light-wells and rooftops, oh my!” says Fire Escape Farms. This San Francisco based online store specializes in the special tools we urban gardeners need to get the job done. They want to “help you turn even the smallest patch of sunlight into a farm so you can get your hands dirty and eat home-grown food.” I love their logo and am looking forward to watching their business grow. Hat-tip to Scott and SwissMiss for telling me about this place.